Satined blown glass in an elegant shape that doesn’t just reflect pure geometry. How an exceptional light emerged. Italian architects and designers Ludovica and Roberto Palomba have already won several design awards. 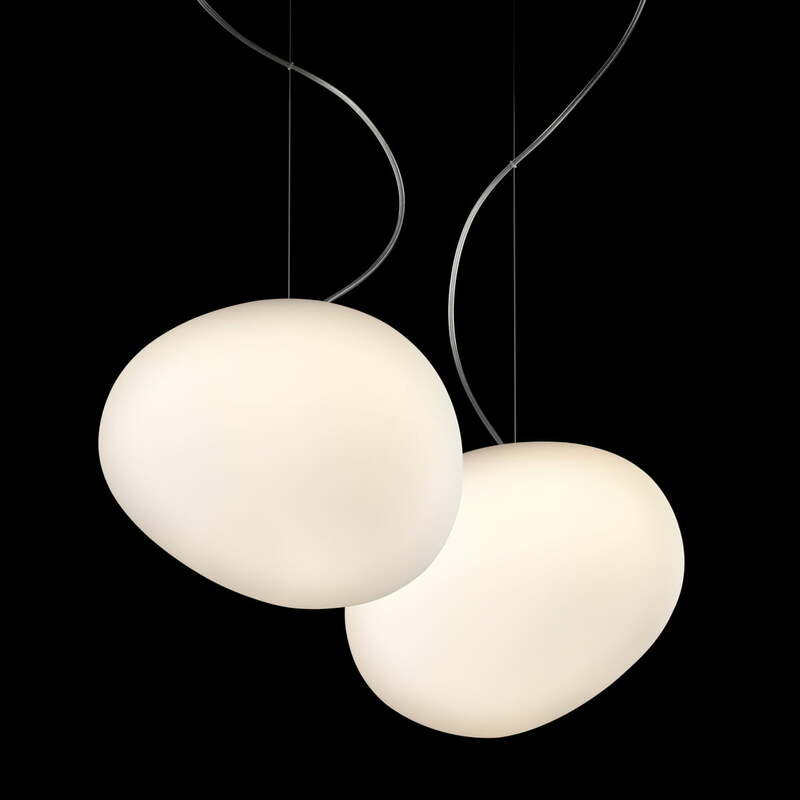 The Italian design is available in different sizes as well as a composition with several lamps. The unusual shape of the light doesn’t remind us of a specific shape and it is still familiar to us, looking elegant and noble at the same time. The satined glass spreads the light softly and balanced. The designers create objects that connect the past and the future, harmonising without being part of short-term trends. The Gregg Pendant Lamp is available in the sizes piccola, media and grande and it is suitable to illuminate living rooms, dining rooms and offices as well as private or public rooms. Ludovica and Roberto Palomba talk about the design and inspiration for the Gregg lighting series by Foscarini. Learn more about the background and intentions behind the extraordinary lights.. 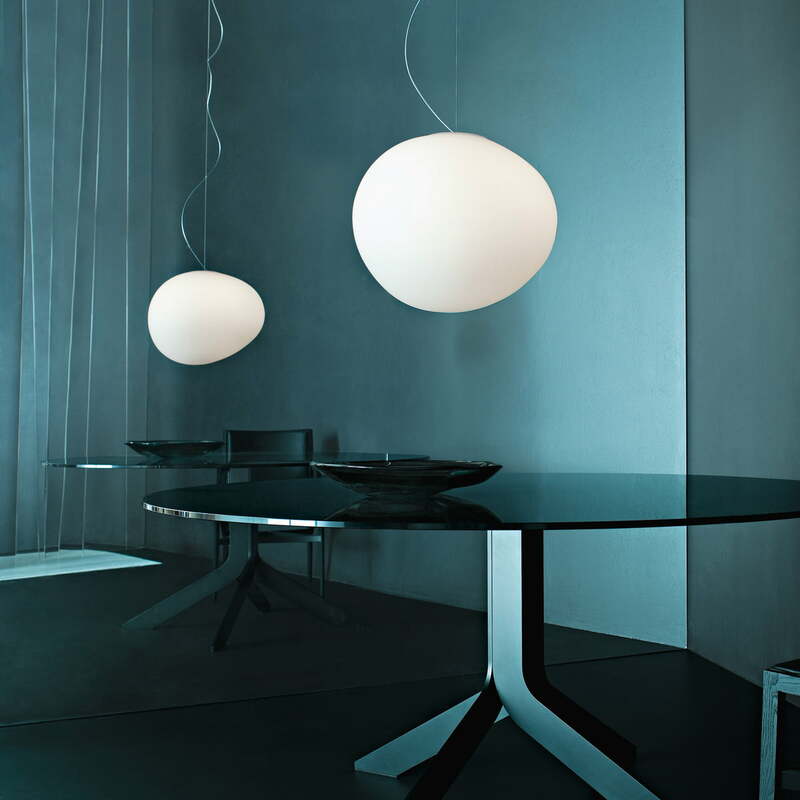 Single image of the Gregg pendant lamp by Foscarini. The dimensions of the lamp in medium are 26 x 31 cm. A bright light object for an exceptional illumination.